I am very happy with my new frame. The quality is excellent, the mounting and hanging could not be easier, and it looks fantastic! Looking for a diploma frame with a tassel holder? The Tassel Diploma Frame allows you to proudly display your diploma alongside your graduation tassel, creating a distinctive and unique keepsake to help you remember and celebrate your important achievement. 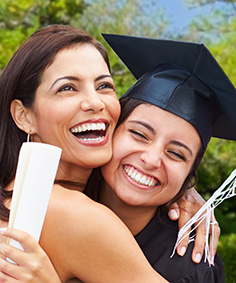 The Tassel Diploma Frame is an excellent choice for your college or university diploma or your high school diploma. 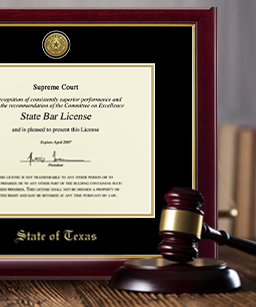 Each frame features your official school seal and name embossed on museum-quality matting. This frame also features a shadow box opening to insert your tassel. 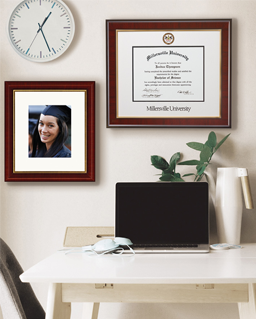 Our frames feature an exclusive deep tassel shadow box to accommodate official academic tassels distributed by many colleges and universities for their special study and graduate programs. Search by your school name below. 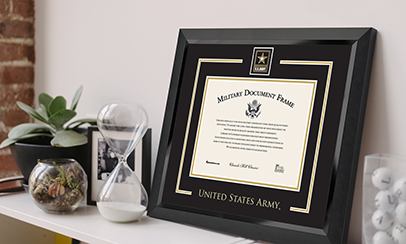 Visit our Design Your Frame page to create a custom tassel frame, embossed with one of our popular insignias and your year of graduation.